I am still on a happy high from last weekend. As I mentioned my husband and I had an overnight stay in downtown Sacramento and my parents were here for a few days. I was in heaven! I got to dance the night away with my husband, and got to enjoy some time with my parents. All the people I love! I will admit though this weekend I am looking forward to doing a whole lot of nada. Back to reality--just the three of us. Sometimes having nothing planned is the best. Favorite Shoes: DV by Dolce Vita Breelyn Dress Sandals. I tried these on and they felt like butter! Perfect to pair with a spring skirt. Favorite Face Serum: Ole Henriksen Truth Serum® Vitamin C Collagen Booster. Lately I have been into face serums, and this is the one I am currently using and loving. Favorite Toddler Room Inspiration: Poppy's big girl room. We recently purchased Luna this IKEA Minnen bed. It is a start for when she is ready to transition out of her crib, and I cannot wait to redecorate. Favorite Go-To Healthy Meal: Sashimi over a Mixed Greens salad. I absolutely love sushi, but I do not eat rice so I always order sashimi. I recently discovered that I at my local Folsom Whole Foods I can order some mix sashimi at the sushi bar (if available) and prepare my salad while I wait. It is so delicious and healthy! Favorite Press-On Nails: Kiss Gel Fantasy ready-to-wear nails. When I have no time to do my nails, these are my little secret. Not anymore because they are too good to keep to myself! I get tons of compliments. I recently went to get a pedicure and the nail lady thought I had my nails professionally done. She was shocked when I told her I put them on myself. If you give them a try, I promise you will get better at putting them on--practice makes perfect! 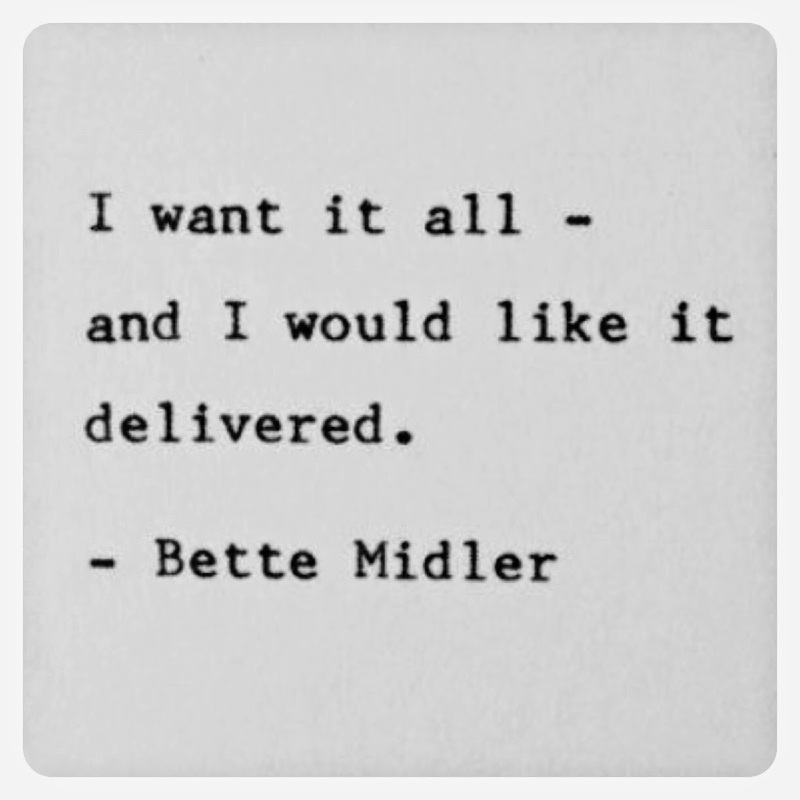 Favorite Quote: "I want it all, and I would like it delivered. -Bette Midler. This quote instantly made me smile! I am seriously obsessed with delivery services. If I lived in the city instead of a suburb, I would get everything delivered! Hmmmm....good reason to move into San Francisco.